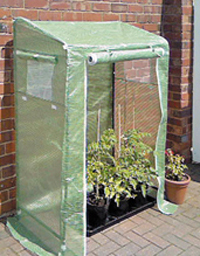 Constructed using strong coated Tubular steel, Complete with a reinforced fitted cover with integral side vents and twin zip roll up door for easy access. Easy assembly. Can also be used for outdooor storage of logs or barbeque equipmenrt.